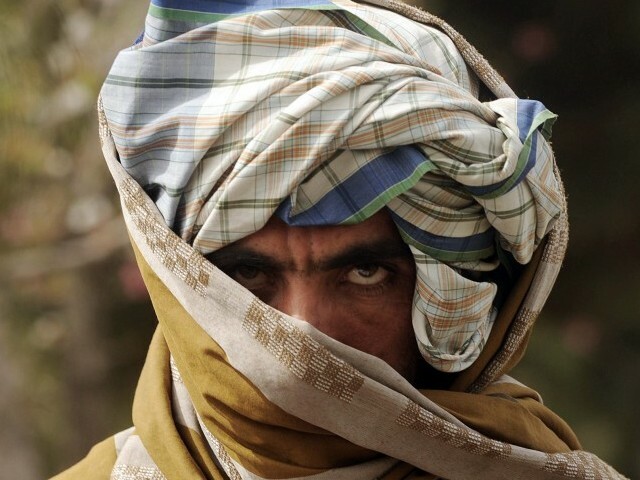 The Tehreek Taliban Pakistan came into being under Nek Mohammed Waziri in 2002 when the Pakistani military conducted incursions into the tribal areas to capture foreign militants fleeing from the Afghan war into tribal areas of Pakistan. The operations were not a success and ended with an initial retreat of the Army and a ceasefire agreement, called the Shakai truce. The ceasefire was signed at a place called Shakai with five tribal leaders. The Waziri and Mehsud tribes were traditional opponents with the Waziri tribe constantly trying to evict the Mehsud tribe from their land . The first ever US drone strike happened in 2004 and killed some people including Nek Muhammad Wazir in a strike on South Waziristan. It was done after the Mehsuds refused to give up foreign militants hiding in their midst . The Tehrik e Taliban Pakistan emerged as an official militant group in December 2007 under the leadership of Baitullah Mehsud , the first ‘commander ‘ of the rebel outfit .It acted as an umbrella organisation for about 13 Islamist militant factions . It started as an ‘alternate ‘ local group from the Afghan Taliban after Pakistan army scourged South Waziristan and the valleys for foreign militants who were responsible for rampant terrorism in Pakistan . Some Waziri tribes took offence and took it personally and the TTP started . Astonishingly their objective was to oppose the state of Pakistan, enforce their own interpretation of sharia and work against NATO. Baitullah Mehsud was under considerable influence of the Uzbek IMU leader Tahir Yuldashev who imbibed a hardline Shia ideology to him . The first fatwas against Pakistan army and government were announced after this and a chain of suicide bombing was started . This was a stark contrast from the Afghan Taliban who never work against Pakistan , up till now most of TTP’s concentration and handiwork is against Pakistan . They can be rightly called the enemy within. Shortly after TTP becoming official under Baitullah Mehsud,s leadership, the government of Pakistan placed a bounty on his head , banning media appearances and freezing assets and bank accounts . Mullah Omar sent a delegation to Baitullah to persuade him to help in engaging the Americans in Afghanistan . They came to an understanding which collapsed shortly after . Baitullah Mehsud is believed to have been behind numerous terrorist attacks within Pakistan including the assassination of Benazir Bhutto , he is said to have commanded upto 5000 fighters , according to US analysts . Abdullah Mehsud was also one of the Taliban field commanders who was handed over to USA, kept under detention in Guantanamo Bay and then judicially released subsequently. He became remarkably close to the Americans He went on to plan an attack on Chinese engineers working in Baluchistan and he also claimed responsibility for the Islamabad hotel bombing . Agencies conducted a raid on the house where he was staying and he killed himself by detonating a hand grenade. Suicide attacks increased during Baitullahs tenure and 90% of them could be traced back to his stronghold . A transcript is available in which he discusses the assassination of Benazir Bhutto though he denied it later . He did claim responsibility though for attacking a Police Academy in Lahore in March ,2009 in retaliation for drone attacks in which he said Pakistan government was involved . He strangely also claimed responsibility for the April 2009 Binghamton , New York in which 13 people were killed even though the attacker was Vietnamese and confessed to different motives . Baitullah Mehsud was killed in August 2009 in a drone attack in South Waziristan though he was rumoured as dead many times before in false attacks. Tahir Yuldashev was also killed in a US Predator drone airstrike shortly after Mehsud’s death . Baitullah was succeeded by Hakimullah Mehsud , a young and aggressive field commander who had also been their spokesman . He maintained links with AlQaeda and Afghan Taliban both and TTP emerged as an umbrella for different factions . AlQaida and TTP never got along with the Lashkar e Taiba as they had expelled the Arab militants from their land. They both issued a Fatwa against LUT and a huge rift ensued . He organised raids against US military convoys from 2007 to 2008 which resulted in the closure of Khyber Pass six times. Pakistan government announced a Rs50 million $600,000 reward for information that could lead to his capture in 2009. He was rumoured as killed twice before in US drone strikes in 2010 and 2012 respectively . He seems to have survived and was now killed on 1st November , 2013 which has been officially accepted by the Taliban . Maulana Fazlullah or “Mullah Radio”, is the leader of Tehreek-e-Nafaz-e-Shariat-e-Mohammadi , a banned Pakistani Islamic fundamentalist group and he is son in law of Sufi Muhammad ,the founder of TNSM . He owes his nickname to the fact that he started an illegal FM radio channel in Swat in 2006 .He forced the locals to stop paying their utility bills and disobey the State of Pakistan .He banned music , stopped women from studying and refused them the right to vote .He also opposed polio vaccination . The FM channel was used to perpetuate horrifying announcements of violators sentenced to beheading and other punishments in nightly broadcasts . He is believed to have ordered the attack on Malala Yousufzai . After the 2007 siege of Lal Masjid,a TTP and TNSM merger took place as Mehsud and Fazlullah reached understanding . After this he received direct orders from Mehsud , he managed to consolidate his political forces in Swat during a short ceasefire with the army . In November 2007, Pakistani army captured his headquarters and arrested his brother. He fled to another village and the sent took over Swat region. Fazullah hid in the Kunar province in Afghanistan which is American controlled . Pakistan had urged Afghanistan and the US to take action against Fazlullah in response to cross-border raids but they made no efforts . On 7 Nov 2013 he was elected Amir of the TTP succeeding Hakimullah Mehsud . The decision to appoint Fazlullah was surprising as it was assumed that the leadership would remain in the hands of a member of the Mehsud tribe,maybe it was to quell criticism that the TTP head is always one of them .He is undoubtedly the worst hardliner the TTP has ,he also carries the dubious title of being Al Qaida ,s aide as well as being CIA backed . It is being rumoured though that Afghan Taliban leader Mullah Omar backed him just because it was announced from Afghanistan. The other strongest contender was Said Ahmad aka Khalid Sajna,he opposed Fazlullah,s candidature ,it is possible the Mehsuds are feeling cornered now and might become a weak link in future . There is strong possiblity of splinter groups forming in the near future .. 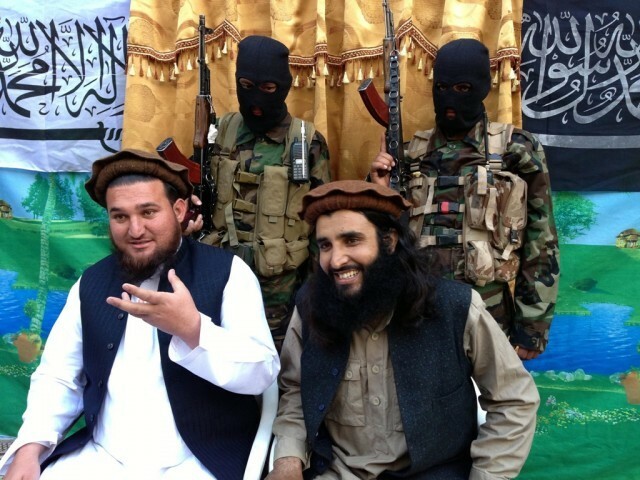 There are different factions in the TTP and Fazlullah was from the Swat camp …so to say . Recently the TTP Shura expelled Ismatullah Muaviya ,head of the Punjab Taliban as he welcomed talks with the government . He responded saying the Punjab Taliban has its own Shura and TTP cannot remove him . The Punjab Taliban split does not bode well for the TTP as this provided them a foothold in the mainland plus transportation and logistics. They even resorted to attacking Muaviya which resulted in his defection . The TTP may have outlived its utility for those that held its reins and helped organise it . The Americans are leaving Afghanistan in 2014 and are in the process of slowly disowning it . They do not want to be any part of it any more , it appears India will be left behind to deal with the aftermath and take most of the blame . Fazlullah definitely has backing of some faction in Afghan government but the Karzai setup refuses to acknowledge . The Afghan Taliban have termed Hakimullah Mehsud a martyr yet shown TTP a separate entity , no umbrella under the Afghan Taliban. They are simply playing games with the TTP . This is also in America s favour as it wants to have talks with the Afghan Taliban yet no truck with the TTP . In the long run America would definitely still have some vested interests in the TTP ,at least as long as it safely leaves the region . After it leaves it will be TTP and the Indians left dealing with them …or the remnants of the TTP . Another interesting case study is that of the JI , PTI and TTP . The Jamaat Islami are the origin of the Takfiri ideology so they can be called the father of TTP ,then many PTI members today are ex Jamaat .All three are interlinked ,the Jamaat leader Munawar Hasans son has had very close CIA and AlQaida links . Also ,PTI might be clamouring to stop NATO supplies yet the province it rules ,KPK ..has received 35 bn aid from NATO . So they all have common links and refuse to condemn each other . The TTP has excluded JI ,PTI ,PMLN and JUI from bomb attacks , the game is edging to a close as the TTP becomes less useful for its masters and more of a liability . This entry was posted on Friday, January 24th, 2014, 1:06 am and is filed under TERRORISM IN KARACHI, TERRORIST TALIBAN, TRAITORS, TRAITORS GALLERY. You can follow any responses to this entry through RSS 2.0. Both comments and pings are currently closed.